Kindergarten teachers have children plant beans in little cups. The exercise is simple but the lesson profound: everything is born, everything constantly changes, and everything dies. One of the smartest people I’ve known once reminded me of that lesson. For 42 years, my grandfather worked in a Hamilton, Ontario steel plant called Dofasco. Years after his retirement, he read of a new round of layoffs that were shrinking the place to a skeleton of what it had once been. He shared nostalgic stories of the post-war years when Dofasco thrived. He spoke of how the company president, whom he always respectfully called Mr. Sherman, would often mingle on plant floors speaking with the workers, asking opinions, slapping backs, and shaking hands. The Dofasco golf, bowling, hockey, and baseball leagues for workers and their families contributed to the sense of community and created a feeling of family. At the huge annual Christmas party, Santa had a gift for every child. When union organizers came to Dofasco every few years they were run out of the place because the trust that existed between management and labour rendered unionization unnecessary. My grandfather retired in 1975. The OPEC oil shock had just happened. The western world’s industrial revolution that, for a century, had built manufacturing plants like Dofasco was ending. A right wing movement that would alter government’s role in protecting workers and regulating corporations was beginning. The beanstalk in the little cup was wilting. Dofasco’s big shrink began in the ‘80s. By the ‘90s, whole departments were shuttered, equipment was sold or scrapped, and buildings were torn down. My grandfather called one day and invited me to a Dofasco open house. It was great. There were old guys who remembered him and I was proud of the reception he received. He marvelled at the computers in a control room that had once been manually operated. He was shocked by the cleanliness of the pickle line and by how few people were making it all work. More than the technical changes, however, on the drive home he spoke of his old buddies confirming what he had already surmised. With the new challenges and changes had come new managers and management systems. Mr. Sherman, and all he had represented, was gone. Globalization and domestic economic and political changes were not the fault of the current CEO but when old ways began to die he was none the less accused of murder and his middle managers deemed accomplices. First trust, then loyalty, and finally community disappeared. There was talk of union. But my grandfather was smart. He said, “Johnny, nothing ever stays the same forever.” The Dofasco he had known was gone and would never be back. Its tag line remained Our Product is Steel Our Strength is People, but no one believed it any more; it had become a cynical punchline. He spoke of how young people working there now would never understand how the place used to be and even less of how it felt. A few years later there was another open house. He didn’t want to go. There was nothing for him to visit. The bean in the cup had died. Deaths are always hard. We all know that fundamental change in any organization effects most is what can be empirically measured least. We all know that stages of grief are suffered by those asked to leave and by those left to mourn what and who were lost. We all know that decisions made at one level always have consequences on others. We also know that losing money is seldom a job dismissal’s highest price. The theft of identity, dignity, community, and faith in what was once sincerely believed are much deeper wounds that, for some, even in those left behind, never heal. That was my grandfather. Dofasco had afforded him a living and source of pride, right up until it broke his heart. 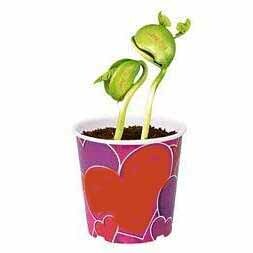 Next September, Kindergarten teachers will have children plant beans in little cups. The kids will proudly bring them home and parents will share in the watering and excitement of growth. Then, inevitably, they will dry tears when the little sprout, once so healthy and lovingly tended, dies and never comes back. I can just read and imagine the scenario as it was then and as it is now. I love community but its quite unfortunate you don’t always find the right people that think like community is important. Amazing article.